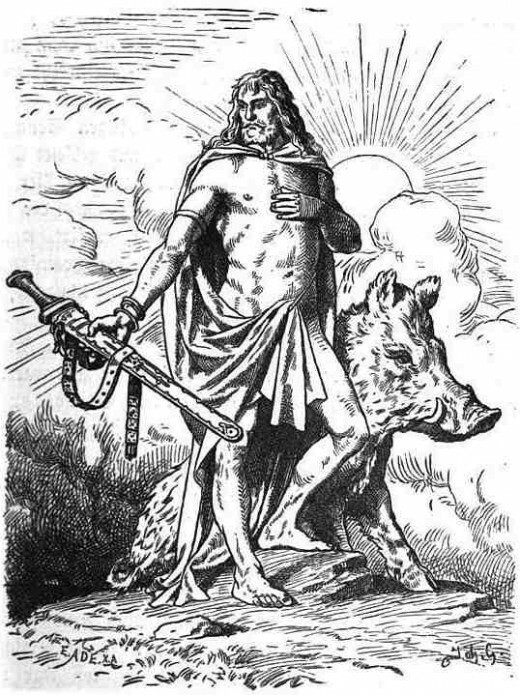 Meaning "Gold Mane" or "Golden Bristles", Gullinbursti was a boar gifted to the god Freyr by Eritrea, after his brother Brokkr and Loki made a wager claiming the brothers couldn't make items to match the quality of gifts Loki had bestowed onto Freyr, Thor and Odin. Taking the wager, the brothers would go on to create Draupnir, the golden ring for Odin, Mjölnir, the famed hammer of Thor, and lastly Gullinbursti, the golden boar for Freyr. To make such a gift as the latter, Eitri used a pig's skin and gold in the furnace, as broker worked the bellows. Together they would create the boar Gullinbursti, which had a glorious mane that glowed in the dark. The brothers won the bet, and Loki almost lost his head. Aside from being made from gold, Gullinbursti was said to be able to traverse any terrain, including traveling over oceans and even fly. 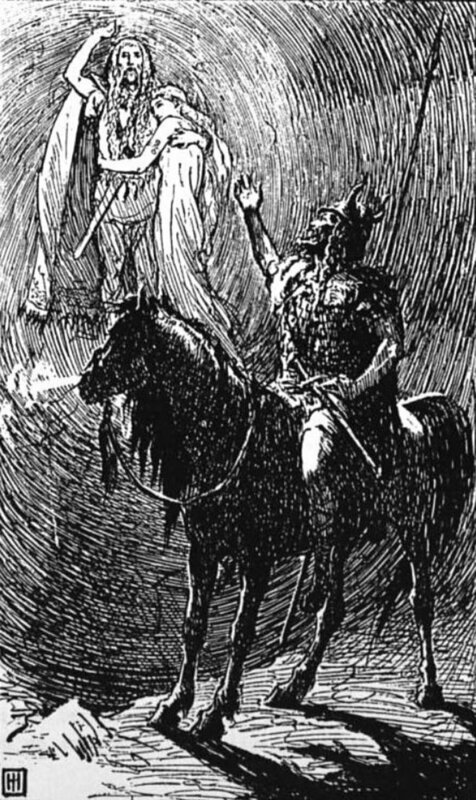 According to ancient tales, Freyr rode Gullinbursti to attend Baldr's funeral. 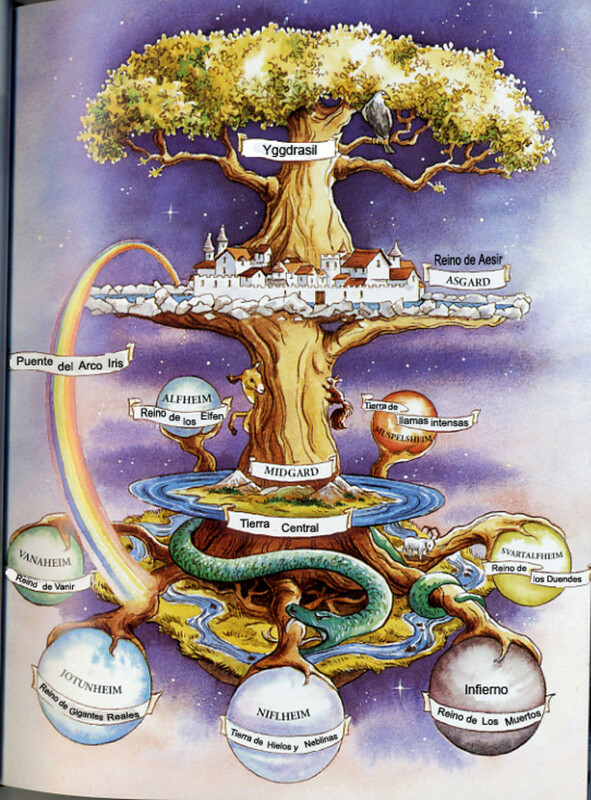 Ratatoskr is a squirrel who runs up and down Yggdrasil, the world tree, delivering messages between the eagle perched atop Yggdrasil, and the Wyrm Níðhöggr, who dwelt beneath one of the trees three roots. Sometimes called "drill-tooth" or "bore-tooth", Ratatoskr's name contains two fundamental parts: rata- and -toskr. Rata- meaning "the traveler" and -toskr meaning, tusk. According to Rudolf Simek, "the squirrel probably only represents an embellishing detail to the mythological picture of the world-ash in Grímnismál". 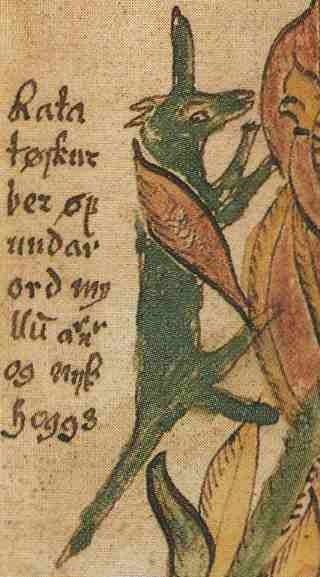 Ratatoskr is described in the Prose Edda's Gylfaginning???'? ?s chapter 16, in which High, of High, Just-as-High and Third; pseudonyms used by Odin, in which he states that, "An eagle sits at the top of the ash, and it has knowledge of many things. 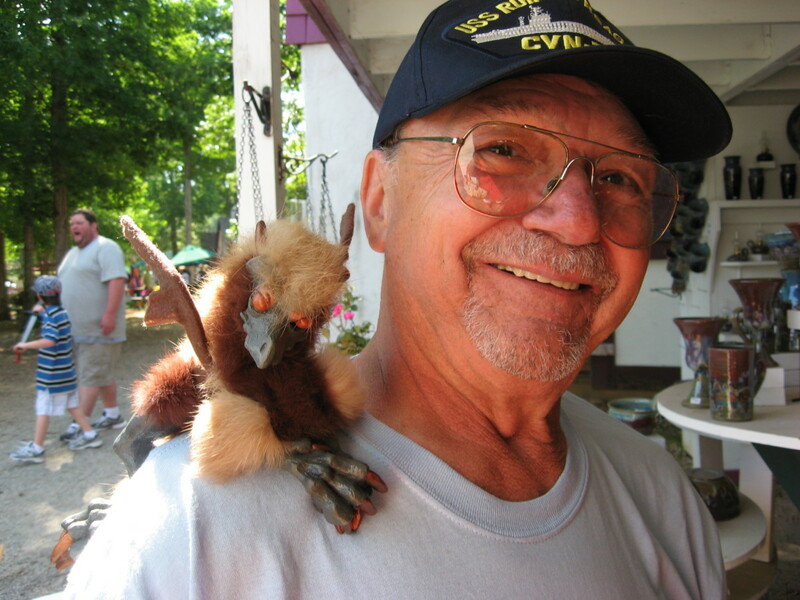 Between its eyes sits the hawk called Vedrfolnir. The squirrel called Ratatosk runs up and down the ash. He tells slanderous gossip, provoking the eagle and Nidhogg." Two ravens, Huginn, meaning "thought" and Muninn, meaning "memory" or "mind" are the pair of ravens that fly across the nine realms, bringing information and delivering messages to and from the father, Odin; and are just two of his many sources of prodigious wisdom. Both ravens, yet semi-autonomous are still projections and manifestations of Odin's own being. To the exact extent, or to ask what part of his being they derive from is speculation, but is considered to be that of his mental states, hence the derivative of their names. 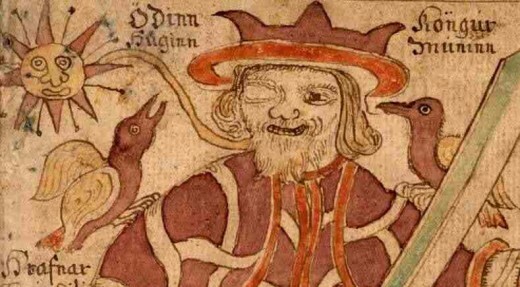 In a brilliantly poetic manner, Odin himself speaks of his sleeping mind by referencing his ravens. The Eddic poem, Grímnismál, describes it as such; Huginn and Muninn Fly every day Overall the world; I worry for Huginn That he might not return, But I worry more for Muninn. During the forging of the worlds, two primordial creatures were spawned from the key fields in Niflheim, Ymir the frost giant, and Auðumbla the giant calf. Both sprung forth from the melting ice in Ginnungagap; the void between Niflheim and Muspelheim. 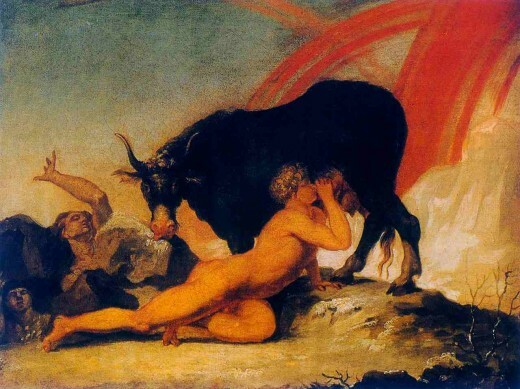 Saving Ymir from starvation, Auðumbla would allow him to drink from her teet, while she herself fed from the blocks of salty ice, as there was no foliage to eat. 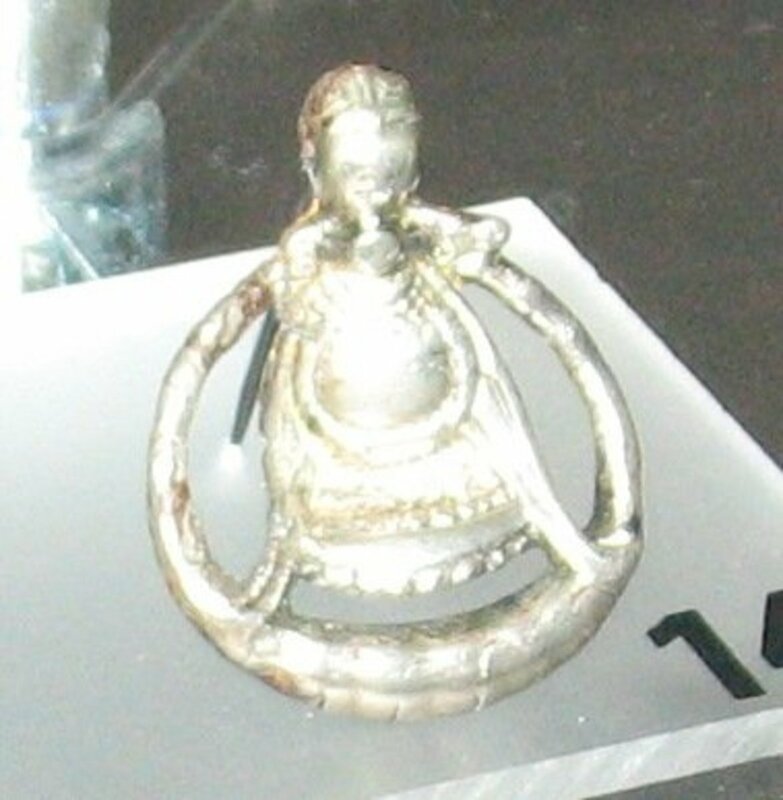 As she continued to eat, some strange happenings would occur beneath the ice; first locks of hair would emerge on the first day, followed by an entire head on the second, and lastly on the third day, the rest of the body would emerge; belonging to that of the first got Buri; father of Odin. Níðhöggr, living within Náströnd, or the corpse shore of Hel, in the roots of the world tree Yggdrisil that stretched therein, Níðhöggr would gnaw at the roots and corpses therein. 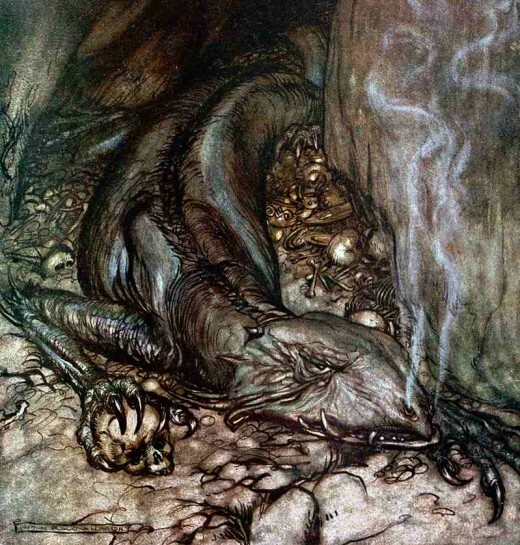 It is believed that the root was placed over Níðhöggr to trap it beneath the world. During Ragnarok, or the end times, when Yggdrisil is to become shaken apart, Níðhöggr will leave its prison underneath the tree to take its place over the battle field, to feast upon and consume the corpses of the fallen warriors. Surtr, meaning "black" in Old Norse, was a Jötunn, sometimes called the "devil giant" and the demon ruler of muspelheim; the land of fire. Prior to the years of Ymir, and Auðumbla, Surtr is foretold as being a major figure during the events of Ragnarok, forging his deadly fire sword able to strike down the gods. 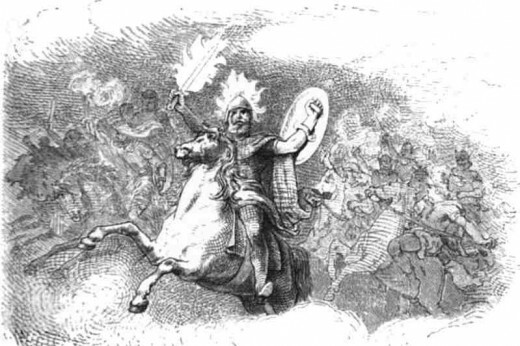 Additional information is given pertaining to Surtr in a book from Prose Edda, stating that; he is stationed, guarding the frontier of the fiery realm Muspelheim, that he will lead "Muspelheim's sons" to Ragnarok, and he will fall the god Freyr in battle. Son of the dwarf king Hreiðmarr and brother of Regin, Fafnir was said to have a powerful arm, and fearless soul. He was guardian of his father's house of glittering gold and flashing gems, as well as the strongest and most aggressive of the three brothers. He would later be cursed by Andvari's ring due to the trickery of Loki. When Odin, Loki and Hœnir were traveling, they came across Ótr, whom during the day took the form of a regular otter. Killing the otter with a stone, they would skin their catch before coming across Hreiðmarr's dwelling, and were pleased to show off their new pet. Recognizing their brother, the dwarf king and his remaining sons captured the gods and held them until Loki could gather their ransom; to stuff the otter's skin with gold and cover its fur with red gold. Loki would go about fulfilling this task with the cursed treasure of Andvari, as well as the ring, The golds curse would grasp Fafnir firmly, as he killed his father to secure all the gold for himself. Becoming violent, greedy and hostile in nature, he departed into the wilderness to hide his fortune; turning into a serpent or dragon - or the symbol of greed - to guard his treasure. He would be later slain by the hero of legend, Sigurd. Ymir is a primeval being, born of primordial elemental poison and forefather to all Jötunn, or frost giants. Taken together, several stanzas from four poems collected in the Poetic Edda refer to Ymir as a primeval being who was born from the venom that dripped from the icy rivers of Élivágar and lived in the grass-less void of Ginnungagap. Ymir birthed a male and female from the pits of his arms, and his legs together began a six-headed being. Ymir would meet his end by the hands of Odin and his two siblings, as they feared how fast the frost giant multiplied. Waiting for Ymir to rest, Odin and kin would make their moves against him. A hard fought battle ensued, the result being the creation of the world from the pieces of Ymir's corpse; Out of his flesh the Earth was fashioned, from his bones the mountains. The frost giant's skull filled the sky, as his blood would pool to create the oceans. Known as the Midgard serpent, he was said to be so massive in size he could coil his entire body around the planet. Harboring an insatiable appetite, Jörmungandr would consume everything in sight to increase his size. That is until Odin stopped him by forcing his tail into his mouth. 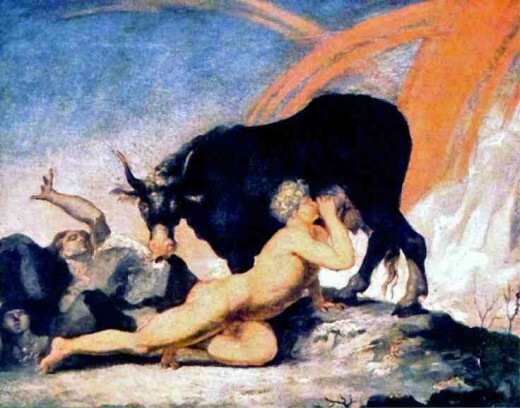 Thor would have three encounters with the beast, the last of which prophesied that the two of them would do great battle with one another, during the time of Ragnarok. 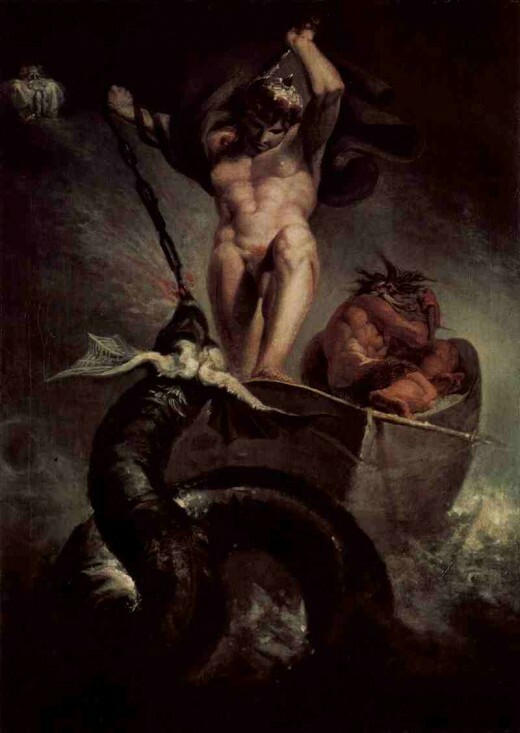 Thor would manage to slay the great serpent using his mighty hammer, Mjolnir, after the serpent would rise from the ocean to spread his poison throughout the sky. Even though the great thunderer would overcome the fell beast, Thor would also meet his demise, falling over dead after he had walked just nine short paces, having been poisoned by the serpent's venom during the battle. 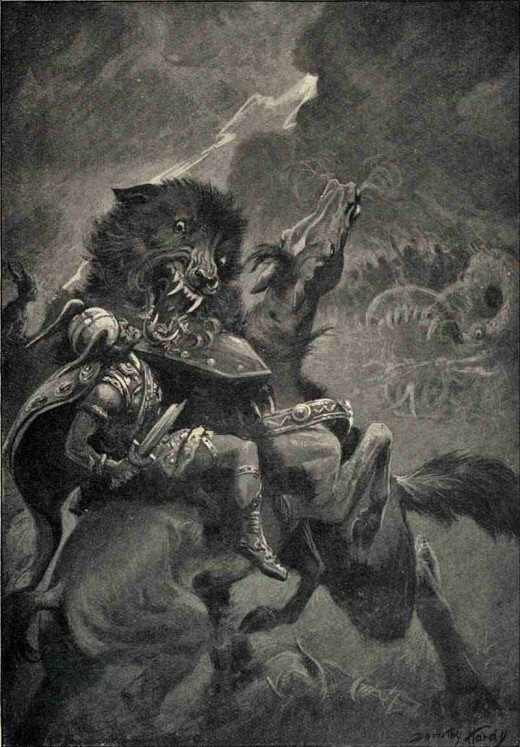 As one of the sons of Loki, Fenrir was a massive wolf and wild creature, whom the gods knew would cause massive havoc during the time of Ragnarok. Odin would task Tyr to find a way to bind Fenrir; after two failed attempts with colossal cans, he would visit the dwarves to see if they could fashion something stronger. Tyr would return with the rope Gleipnir, or the "open one", forged from six impossible things to find. The sound of a cat's step, the beard of a woman, the roots of a mountain, the breath of a fish, spittle of a bird and the sinews of a bear. Though just as thin as a ribbon, Gleipnir was stronger than any iron chain. Tyr then challenged Fenrir to see if he could break free of the rope, to make sure it was no trick; Fenrir had Tyr place his hand inside his mouth. If he wasn't released, he would lose his hand... Tyr sacrificed his hand to bind the beast until the days of Ragnarok; where Fenrir would break free and devour Odin in one bite. Seeing his father consumed, Viðarr would slay the giant wolf by using his Greatest Boot to stomp down on the lower jaw of the wolf, while pushing against his upper jaw, causing enough force to rend the great beast's jaw, ending his terror. Did you enjoy reading this hub? 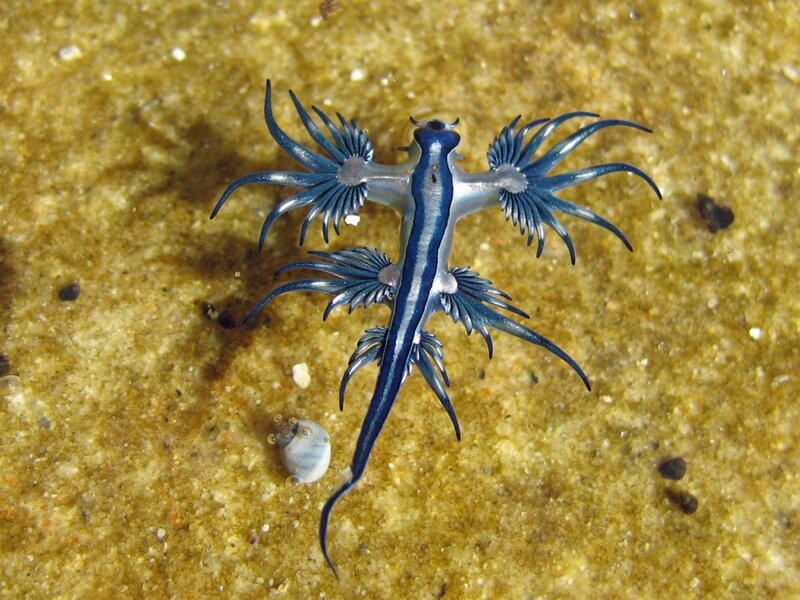 We’re all familiar with some of the great extinct animals out there, such as mighty dinosaurs like the Tyrannosaurus Rex, but what about nature’s more unusual long-gone creatures? Who Were the Sons of Odin in Norse Mythology?